This hardback edition includes a wrap-around dustjacket, bonus essay, and gold-foil embossed leatherette cover. Now that readers have been enchanted with the Golden Age of American comics as presented in Michael Chabon's Pulitzer Prize- winning best-seller The Amazing Adventures of Kavalier & Clay, isn't it time for the real stories of the era? Not some academic's dry-and-dull history or a second- or thirdhand account, but the true story as written by an eyewitness and participant of the age? The Comic Book Makers is exactly such a book. 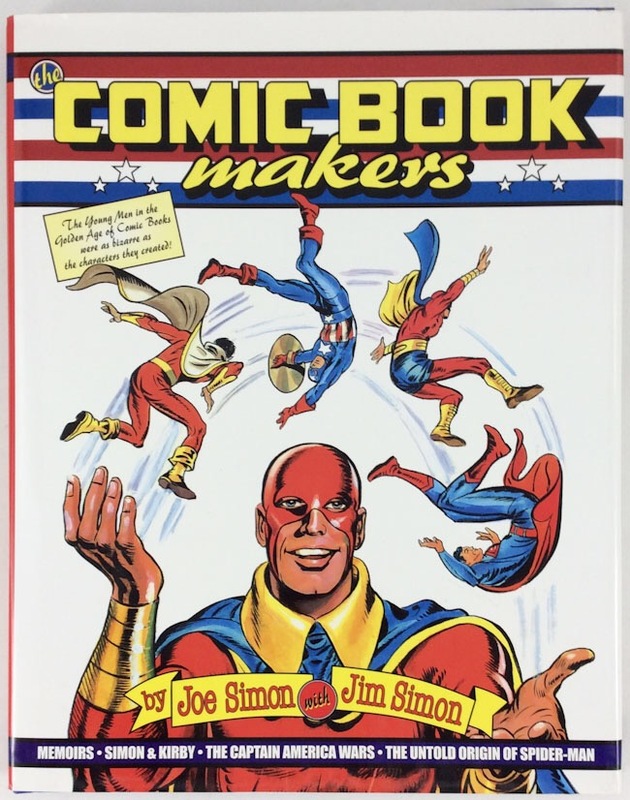 Filled with real-life anecdotes and entertaining insights, it tells the compelling, definitive history of the talented creators who gave us Superman, Captain America, Archie, Captain Marvel, Spider-Man, and dozens of other comic book favorites . . . as well as the stories of the other people who helped shape comic book history. Meet the crime comics editor who would himself be accused of a gruesome murder; the horror artist who was periodically released from a mental hospital in order to meet his publishing deadlines; the famous Senator Estes Kefauver, whose subcommittee investigated comic books as a cause of juvenile delinquency; and dozens of other fascinating personalities. The Comic Book Makers also tells fascinating stories of the birth of the American comic book industry, deals brokered in publishing offices, epic collaborations-and terrible feuds-among the creators, and the working conditions and industry practices that left the creators of these legendary characters destitute while the publishers made fortunes. Lavishly illustrated with hundreds of examples of these artists' dynamic works, The Comic Book Makers provides an important documentation of a time looked upon with nostalgia and not to be forgotten.